Have you ever been told that your story has an interesting premise, a strong plot, and fine writing, but that the reader just didn’t “connect”? While there are many possible reasons for this, one of the most common has to do with character. The story in question needs more character-specific layers. Character layers are the frosting of your story. People seem to think that frosting is what goes on top, but in a layer cake, the frosting runs in delicious seams throughout. It is always visible, always there, creating a beautiful depth and adding flavor to every bite. It is also BALANCED with the other story elements (ie the cake.) Character shouldn’t take over your story completely, and it shouldn’t be the only part they’re showing up for. Great frosting can’t make up for a dry cake! This ratio looks so right to me. Everyone has their own preferred frosting-to-cake ratio. Different genres can have different amounts of character development, and different ways to include said development. So what’s the best way to develop the balance in your work? Think about your own favorite stories, especially in the genre you’re working in. How do you connect to those characters? How do you want to use voice, banter, character desire lines, etc. to craft yours? Just remember: your cake needs frosting. Don’t skip it, and don’t skimp. The first time I approached a draft with a layering technique, it went on to become my first published book. An early reader said that the story was working, and that the main character was coming across, but a secondary character was flat on the page. Here’s where I asked myself: what do I want from this character? Who is she in my head? Is she that person on the page? Isolate the scenes the character appears in. This works especially well for secondary characters. Create a document that includes only those scenes, so you can see the development and growth of that character, his/her subplots and how they are progressing without lots of other scenes getting in the way. Break it down even farther. Are you focusing on the arc of a character’s desire line? Her dialogue? Her emotions or inner life? I’ve done passes for all of these things, and more. Sometimes a character needs a full overhaul, but often the more specific you can be about targeting what’s not there yet, the easier it becomes to add and tweak. Look for the frosting gap. Often when I’m going back to do a character layer, I’ll find that I’ve left space to add. Certain moments just seem to open up when you look at the draft with an eye to deepening character! What is strongest/most unique/most important about your character? Is that coming through in the draft? Tie it into theme. In later drafts, you will want to make sure that your characters tie into the main themes of the story. Sometimes, characters who aren’t “working” are the ones who don’t have some connection to theme. 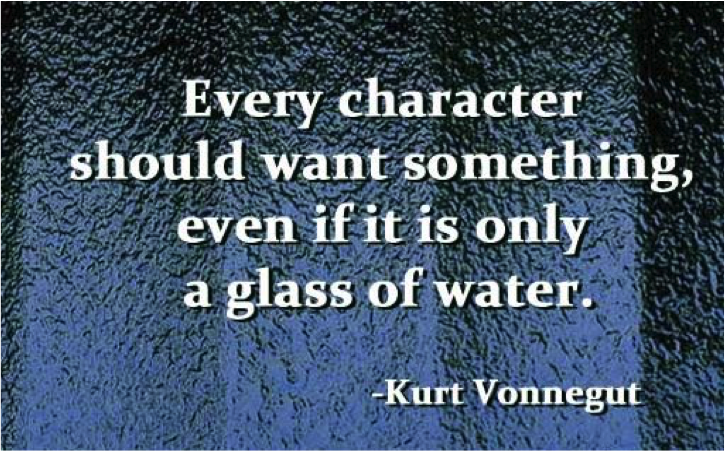 If you start with character, you might need to adjust or add more later. If you start with a character layer, just remember that as the story evolves, you might need to take another look at what you started with. Even if things change, that initial character work isn’t lost. In most cases, you’re not throwing out the frosting and making a new batch here. You’re just adjusting so it matches the cake perfectly. Don’t be afraid to cut/combine. Sometimes a layer will be dedicated to taking out a character you really don’t need, or combining characters who are doing the same narrative job. If you isolate this in its own layer, it’s easier to adjust the rest of the story around it. Let the main character take more than one layer. Don’t be nervous if you spend time on a character layer for your MC and people say she still needs some work. I usually devote 2-4 layers in each drafting process just for the MC. And, like I said above, I try to focus on specific drafting goals for each of these layers. That’s all for this week—happy frosting! PS In the last part of this series, I’ll talk about why layering works, and how to know when your novel is done baking! Want to work with Amy Rose? She critiques, edits, and provides writing coaching for all sorts of fiction. Just click on the Contact tab and fill out the easy form to get started!